If you don’t know already, using artificial sweeteners makes you fat and ruins your chance for ever having a lean body. Not to mention that artificial sweeteners are not good for your health. This is part two in a 3-part series on deceptive labeling that food manufacturers can get away with. Okay, back to artificial sweeteners… even if you are checking the label for artificial sweeteners, you may miss certain key words to watch out for. I have your back as I’ve taken the time to show you exactly what to look for… See it below. In the mean time, if you want a safe, trust worthy company that sells healthy safe products like whey protein… well, good… check out the special page set up just for my readers. Artificial sweeteners are not just really bad news for your health, you need to understand that they’re also a top violator of “calorie free” deceptive labeling practices. What you need to know is that it’s very common for certain brands of artificial sweeteners to use maltodextrin and/or dextrose (which is pure sugar) as fillers in each cute little packet. You need to know that each one of these sweet, cute little packets can legally contain up to a full gram of sugar or around 7 calories and still be labeled as calorie free. 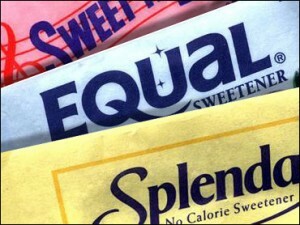 How many packets of sweetener do you put in your favorite beverage like coffee or tea.? This is hardly calorie free, right? …maltodextrin and dextrose are two of the biggest insulin-spiking carbs you can possibly choose — the entire reason people choose artificial sweeteners over sugar in the first place, right? If you go to the page above, you will find a special deal (for a limited time) just for my readers. Check it out now. 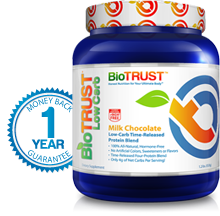 This whey protein is safe and has no artificial sweeteners you need to worry about.